Hi, everybody! 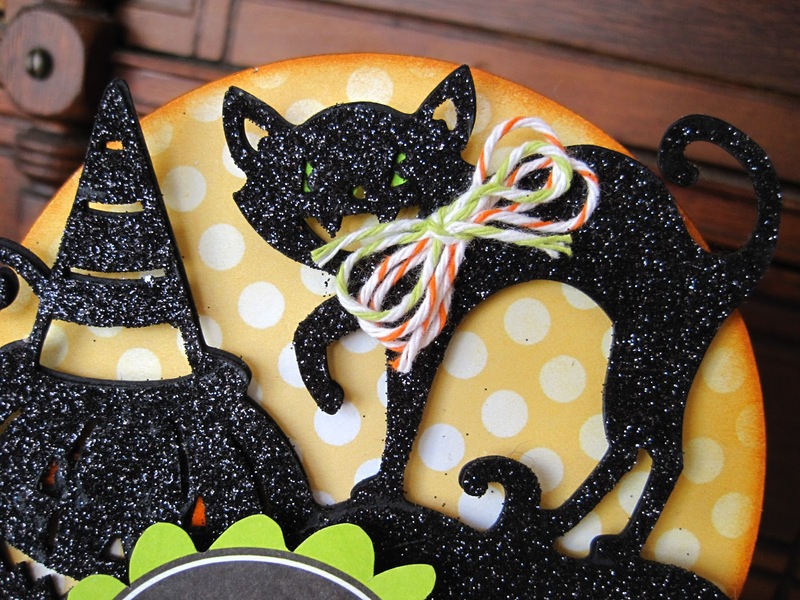 New challenge time at Craft Us Crazy: Use black and/or party theme. I went with black, although this could be for a Halloween party, too. I went crazy with the black glitter on this! Love the black cat and pumpkins (svg from SVG Cuts.com) Come join us for the new challenge at Craft Us Crazy - and check out the inspiration while you're there. fun & festive, love all the sparkle Lori! 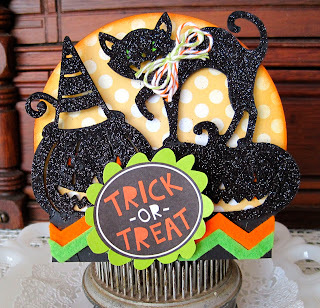 You just keep creating the most amazing Halloween creations Lori, love your glittery cats! Trick or treat to you - one wonderful Halloween card full of bright pretty colors and lots of sparkle. Can't let a cat be too black now can we!! Love it Lori! What a wonderful card my crafty friend. I LOVE the black sparkle. Looks perfect. TOO FUN!!! LOVE the glitter! Hahahahaha...okay, you win!! I HAD to drag my husband over and show him proof that I am NOT the only one who goes glitter batty! Hopefully you're more organized with it than I am. He's finding it in HIS car now..LOL. I love Halloween and this screams Halloween! Love it!